An insider’s guide to the best events and things to do during November in the Lake District. As autumn slips into winter, don’t hibernate just yet. November in the Lake District is a great month for a countryside retreat, and to let you in on a little secret…it’s a month that offers the same panoramic views and magical wilderness, but without the crowds. It rains almost all year round here in the Lake District. This creates beautifully lush landscapes and green pastures that stretch as far as the eye can see. With its own micro-climate, the millions of visitors that flock to our Cumbrian corner have long gave up on expecting sunshine. We expect a bit more rain in November but, after accepting the chance of rain in winter, you’ll realise that the showers often contribute to the beauty of the landscape – producing gushing waterfalls and wondrous tarns. Whatever the weather, Cumbria is a magnet for those seeking winter adventures. You might be a family looking for a weekend of fun activities or a couple in search of a cosy romantic getaway. The Lake District has surpassed several areas as one of the best mini-breaks in the UK during winter. Why? Simply because the region can offer tons of things to do in all climates, as well as being strikingly beautiful throughout the year. 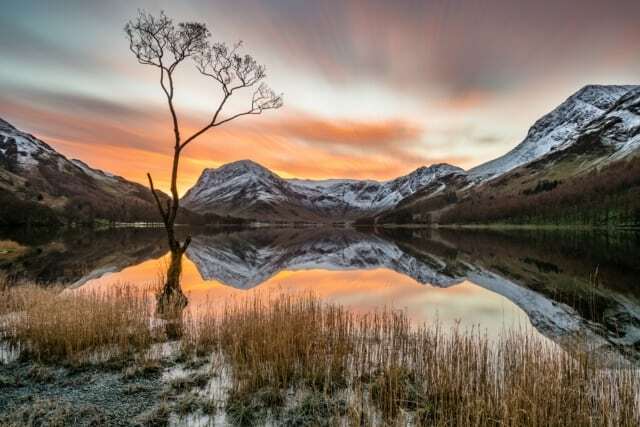 With its rich and diverse mix of trees, woodlands and forests, the Western Lake District is transformed into a sea of warm colours during the autumn and winter months. It slowly removes its red and orange coat towards the end of November, leaving the trees exposed – except for the flash of red squirrel every now and again. For a wonderful winter hotel break this November in the Lake District, pack your woollies and your wellies and get ready to explore the panoramic postcard scenes before the Christmas crowds arrive. Returning to the warmth of a riverside Georgian hotel – to a log fire and mulled wine kind of welcome – will be even more rewarding after spending the day out in the cold. The perfect balance between adventure and luxury. 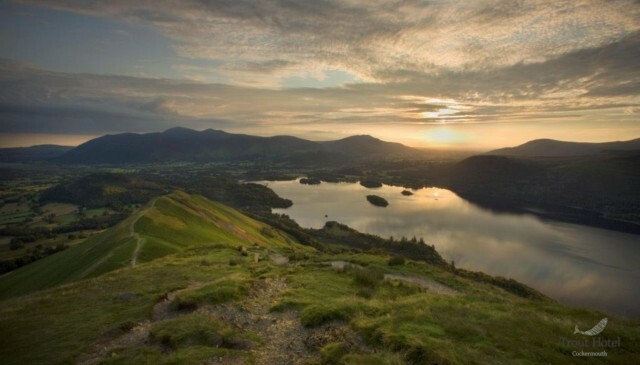 Have we given you enough excuses to visit the Northern Lake District yet? No? Here are just a few more. At 6pm on Sunday, the Gem Town of Cockermouth will be bursting with colour and light as its vibrant fireworks display is ignited. 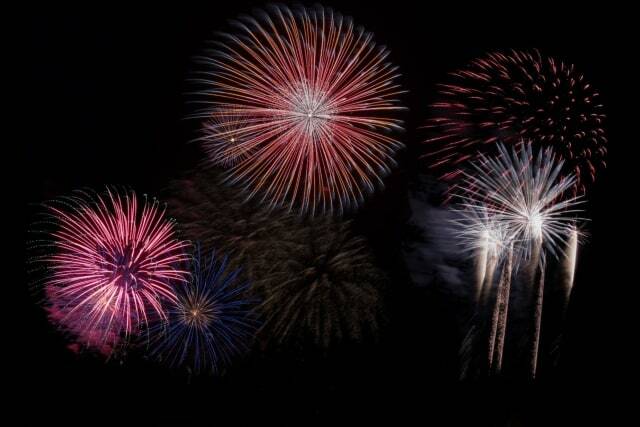 How about warming up suitably and enjoying a pre firework dinner at The Trout Hotel before the main event? Served in the Derwent Restaurant, you can enjoy traditional firework food and soothing drinks before wrapping up and heading outside to see the spectacular display. Dinner will be served from 4:00-5:00pm and reservations are kindly required. The fireworks will be set off in the Memorial Gardens, Cockermouth, from 6:00pm. The popular Bistro Week is back! From Tuesday 6th to Friday 23rd November, a two course dinner in the Terrace Bistro & Bar will cost you only £12.00 and a three course dinner at just £15.00 between 5pm – 9pm. Dining out this November in the Lake District has never been so easy! Gather friends and family and choose from a selection of starters, mains and desserts from our set menu to be enjoyed in the stylish surroundings of the Terrace Bistro & Bar. Booking is strongly advised to avoid disappointment. How about some Christmas theatre to get you in the festive mood? Now before you start tutting, this play is not as ‘holly jolly’ as you may initially expect. November is now officially classed as the run-up to Christmas whether we like it or not, so why not embrace it with this ingenious, yet utterly realistic depiction of what Christmas is really like an a down to earth level behind all the commercialism? We are all pushed into thinking how magical and stress-free the festive period is. A time where everyone gets on with one another, we’re all a lot more patient and we put all the annoyances of life on the back burner… as many of us know, this is not always the case! For 4 nights, Keswick Theatre Club is putting on this painfully funny comedy play which depicts a realistic family Christmas with all its quirks! Expect to see awkward family encounters with “long-lost relatives”, the neighbours unexpectedly dropping in for a drink, culinary disasters and questionable presents. Get tickets and visit Keswick’s Theatre by the Lake to see this insightful comedy to get you in the festive mood this November in the Lake District. Imagine the scene. 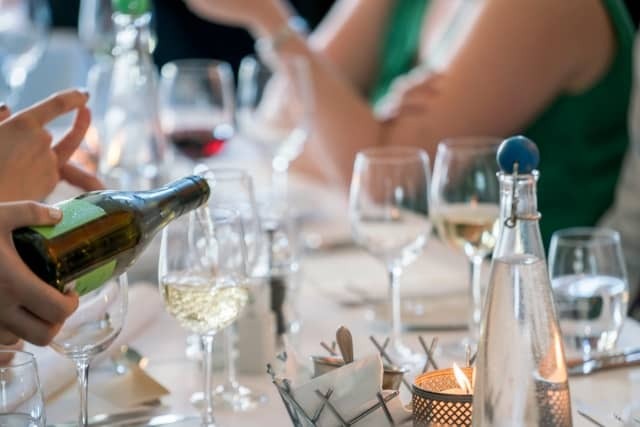 You’re savouring a selection of French cuisine in an award-winning restaurant, with musical accompaniment and a glass or two of exquisite Beaujolais wine. 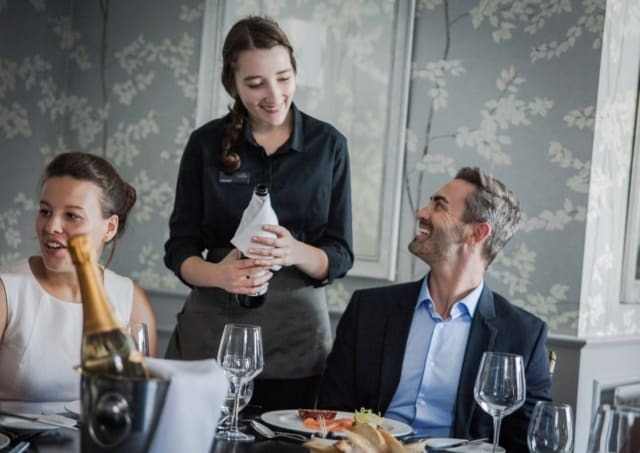 Cockermouth is fast becoming a foodie’s paradise, so if you’re someone who likes to taste exceptional food, make sure you don’t miss this evening of Beaujolais bliss at The Trout Hotel. Like our French companions, we’ll be celebrating the first wine of the Beaujolais Nouveau season in the AA Rosette Derwent Restaurant this November. In France, the occasion is marked on the third Thursday of the month after the wine is released at 12:01am, just weeks after the grapes have been harvested. Join us to sample a taste of French delicacies for your very own foodie break in the Lake District. Tickets for the event cost £30.00 per person. Reservations are kindly required. The event is pre-paid and reservations can only be made by contacting the hotel directly. 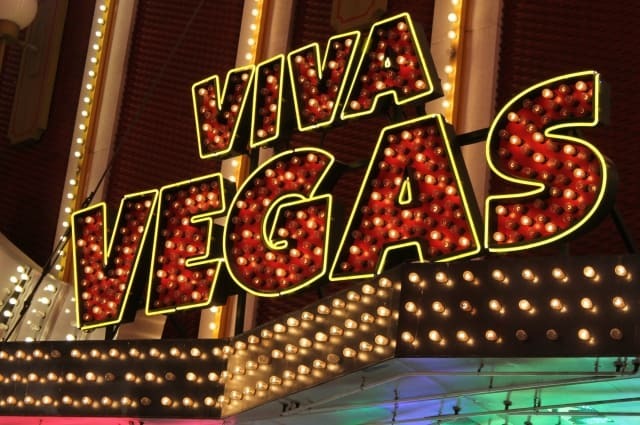 Head on over to the Kirkgate Arts Centre where they’re bringing the glitz and glamour of Viva Las Vegas to our hometown of Cockermouth! For one night and one night only, the Kirkgate will be all decked out ready transport you to the hustle and bustle of the Las Vegas Strip, where you can take a spin on the roulette wheel or try your luck in a game of blackjack in the pop-up casino. For any gambling newbies who want to tempt fate, you will be guided through the games by professionals, so no need to be timid if you are unsure! You can also expect live music throughout the night, including very special performances from VIP guests Tom Jones and The King himself, Elvis… or at least West Cumbria’s answer to each! Got a whole lot of money that’s ready to burn? The gambling is purely for fun so no real money will be exchanged in the casino and instead, the biggest winners will receive prizes rather than cash. You will receive casino chips to play with on the casino floor – so no need to worry about spending your very last dime! The night is held to raise vital funds to support the future of the Kirkgate Arts. Vegas Night will also include a raffle and the price of your ticket includes a free glass of bubbly when you arrive to make sure you have a swingin’ time! Doors open at 7:30pm and tickets are priced at £15.00 per person. It’s also worth noting, if groups of 10 people or more all book in the same transaction then you will receive one ticket for free. A day for all the family – with stalls, fairground rides and food vendors lining Main Street in preparation for the big switch on later in the evening. At 5:00pm, Cockermouth Gem Town will be lit up in the grandest of fashions as we welcome the festive season and all its excitement. 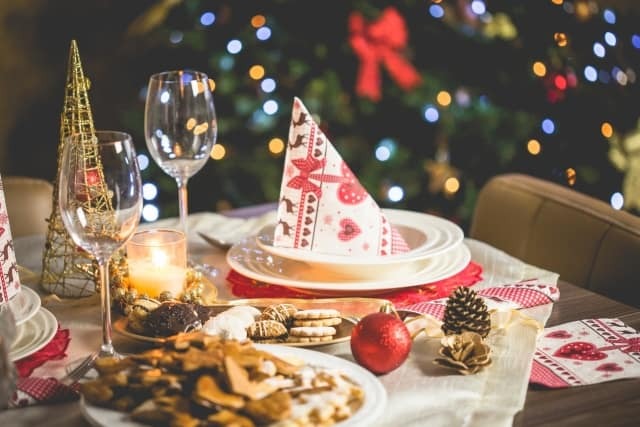 To make the most of the night, we invite you to venture over to The Trout Hotel where we will be serving some delicious dishes to everyone’s taste, or warm up with a hot beverage. A glass of mulled wine is just what’s needed before you wrap up warm and step into the darkness to see the fantastic display. 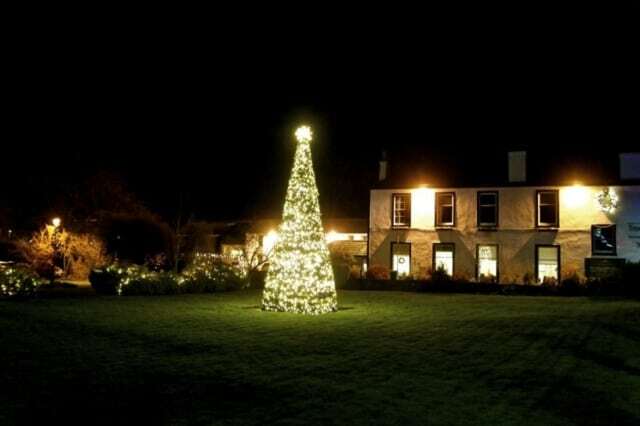 The perfect way to light up your November in the Lake District! Beer lovers unite! Cockermouth Beer Festival is back with a splash! Cockermouth will be hosting its beloved beer festival again at the end of November, which makes sense for a town that boasts such a historic and iconic brewery as well as several microbreweries! 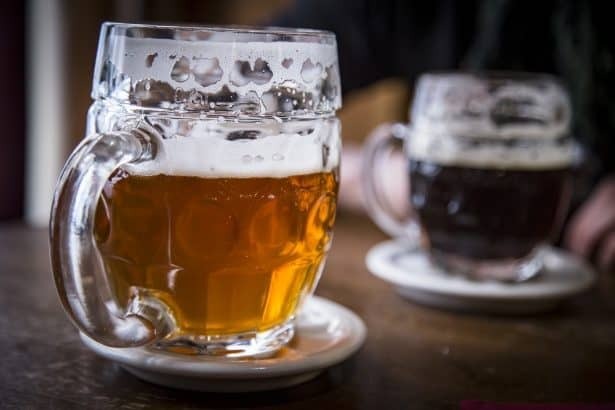 Expect to see over 60 real ales, lagers, ciders, wine, prosecco, a quiz night and plenty of live music to keep you entertained while the beverages slip down! Not to mention, you will also receive a complimentary beer festival souvenir glass to mark the occasion. We can’t think of a more appropriate way to warm yourself up this winter! The festival will once again be held at the Kirkgate Arts Centre and is organised and staffed completely by volunteers. All money raised will be distributed to local charities and good causes, so drink up! Probably the most walked fell in the North Western Lake District, attempting Cat Bells in November means that you will encounter less crowds. But when we say it’s the most walked, that doesn’t mean that it’s easy. There are some parts where scrambling is involved and the rocks can get slippery so bear this in mind if the weather does not look promising during November in the Lake District. Cat Bells is an iconic fell that towers over Derwentwater lake in the Northern Lakes. It’s very accessible and commands excellent views in all directions. Another great element about it is that it can be walked by people of all abilities and you often see families encouraging each other to reach the summit. Information on the route can be found here. Alternatively, if you don’t want to go onto higher ground or if the weather does not behave itself, strolling along the shore of Derwentwater is another splendid walk in all seasons. Having a car is very useful in the Lakes but many of the area’s best loved places are easily explored by bus, boat, bike or boot. There might be limited schedules during the winter months so make sure that you’re checking the right times. Consider the short day length in winter, if you’re intending on walking the fells. Pack appropriately – there is really no telling what the weather is going to be like during November in the Lake District. We do not advise that you go out on the fells without the proper equipment, if the weather is unsuitable or you are feeling unwell.